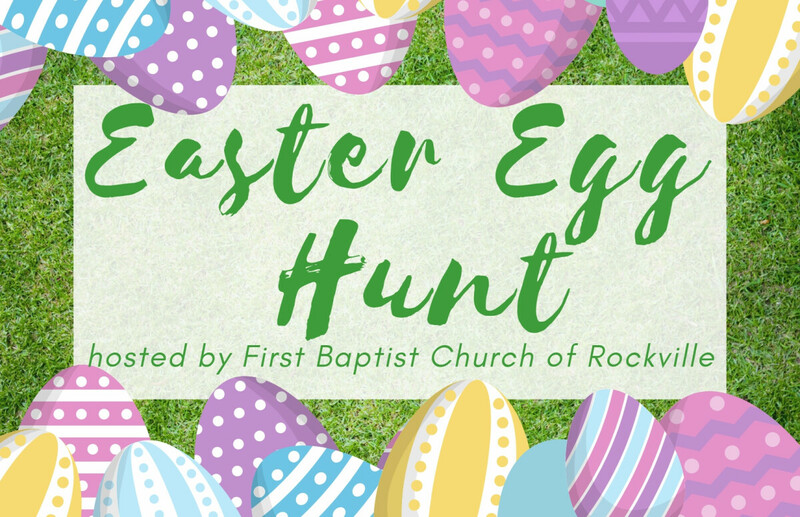 First Baptist Church of Rockville presents our annual Easter Egg Hunt! Join us Saturday, April 20th at 1:00 PM for our free family fun celebration! We will have plenty of eggs, fun, and music! To register for the free Easter Egg Hunt please click here.